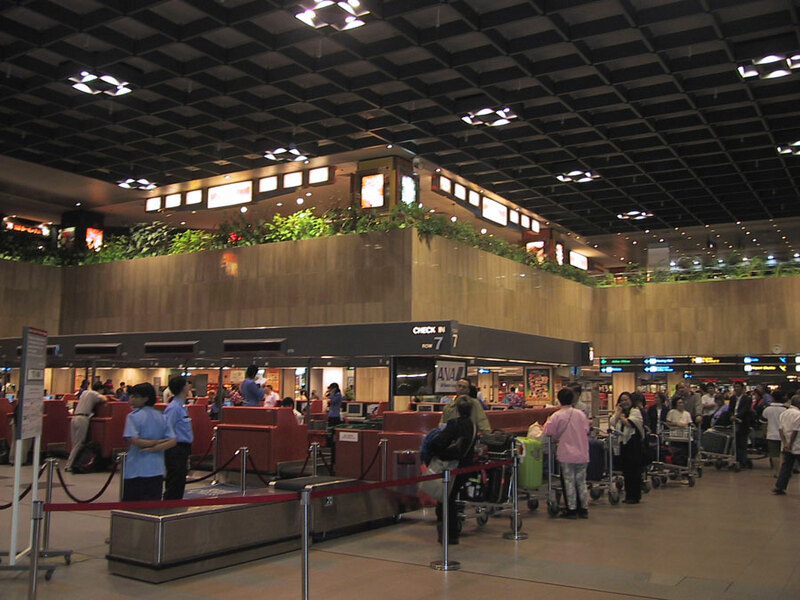 For anyone who has experienced Changi Singapore Airport for themselves, it comes as little surprise that this International Airport has won awards from all over the world for being the best airport in the world. 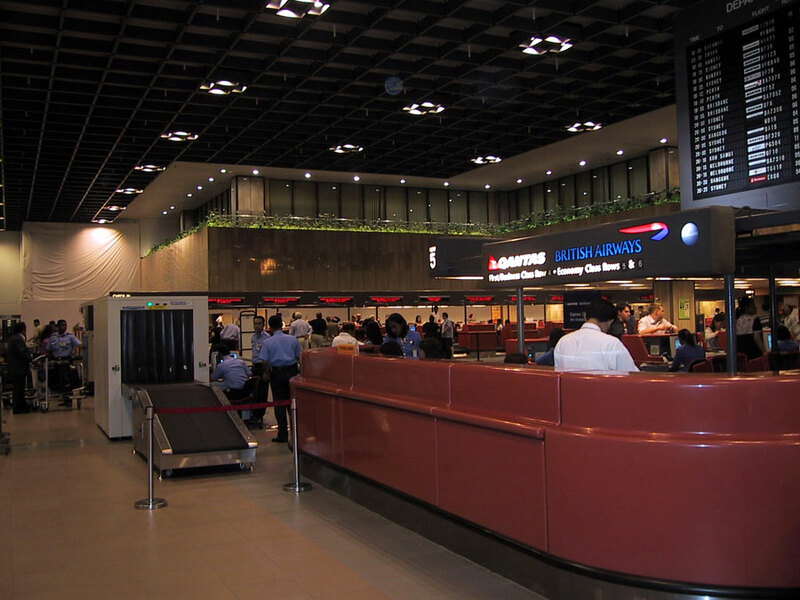 It is without a doubt the favourite with many travellers coming into Asia. 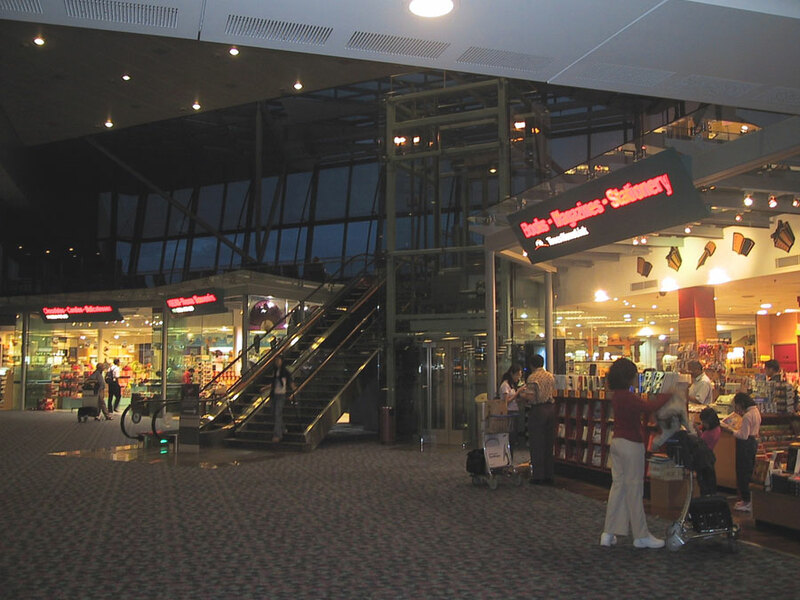 Excellent shops, a wide selection of restaurants, comfortable smoking rooms, free internet access, a wide selection of entertainment, outdoor swimming pool, carpeted walkways, it is not 'overly big' and offers travellers electronic walkways that make travelling from the gates to the central areas a pleasure. 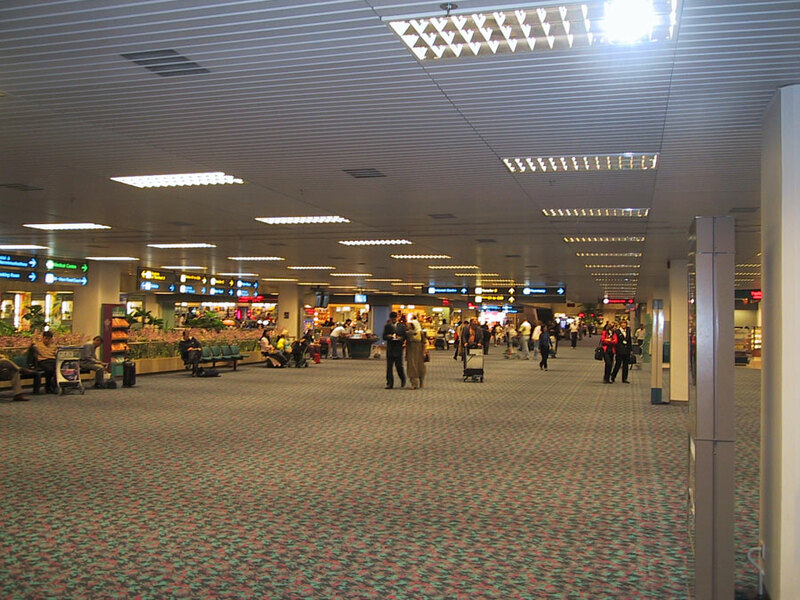 For some reason, Changi manages to achieve an almost homely feel, there is always space, rarely bodies lying around on the floor etc. 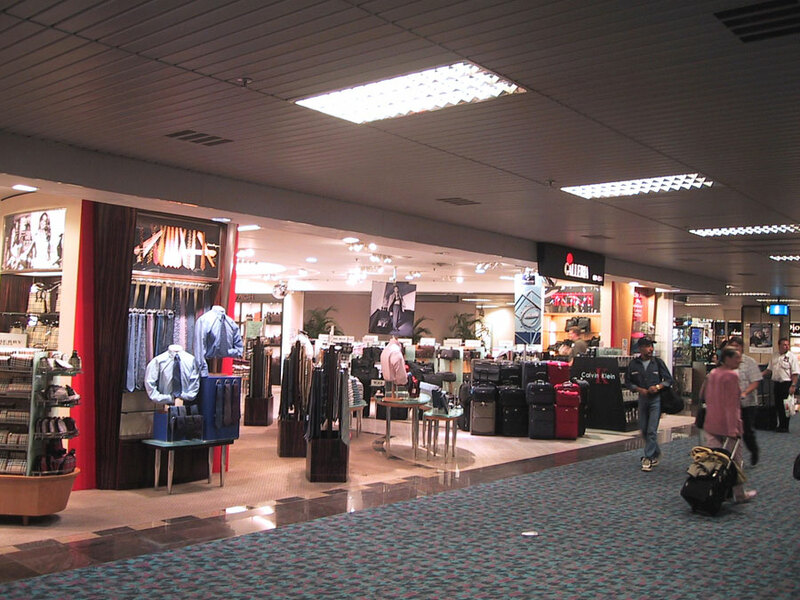 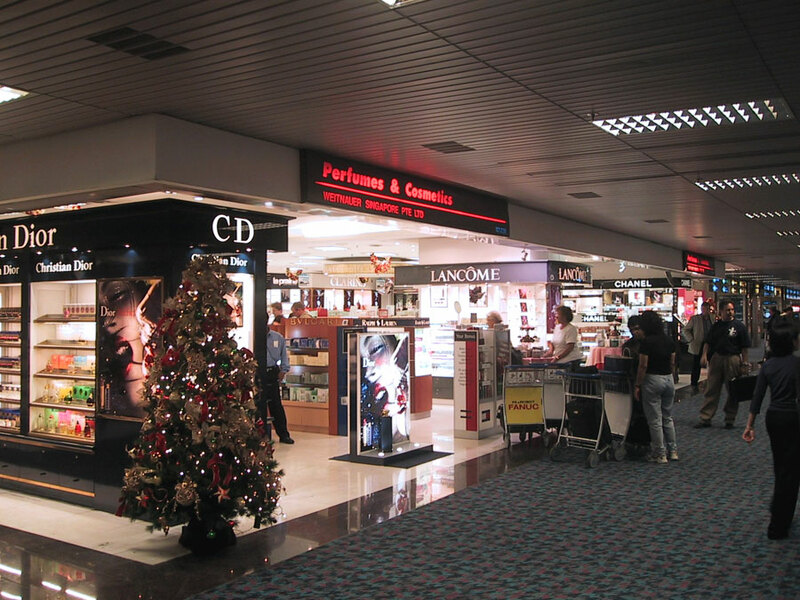 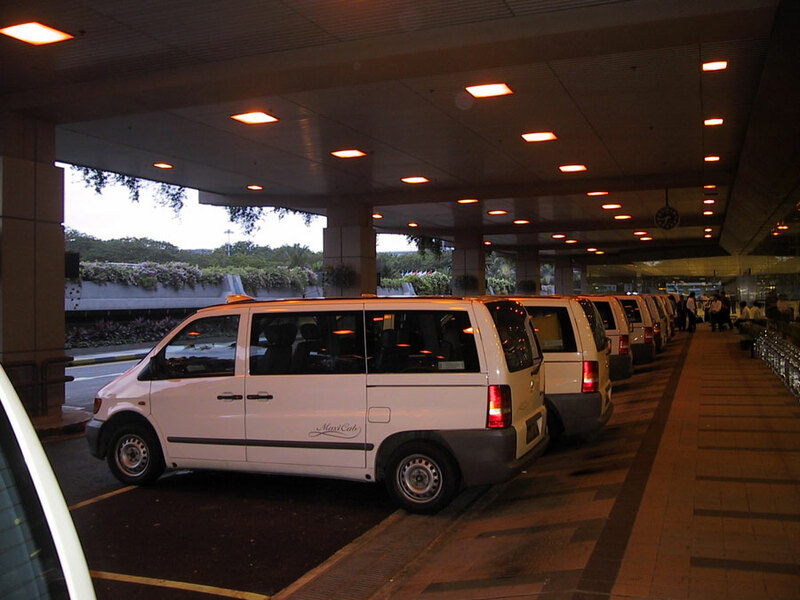 To put it simply travelling to Changi is in itself a pleasure and adding a little extra time to be able to cruise through the excellent shopping and other facilities on offer is highly recommended. 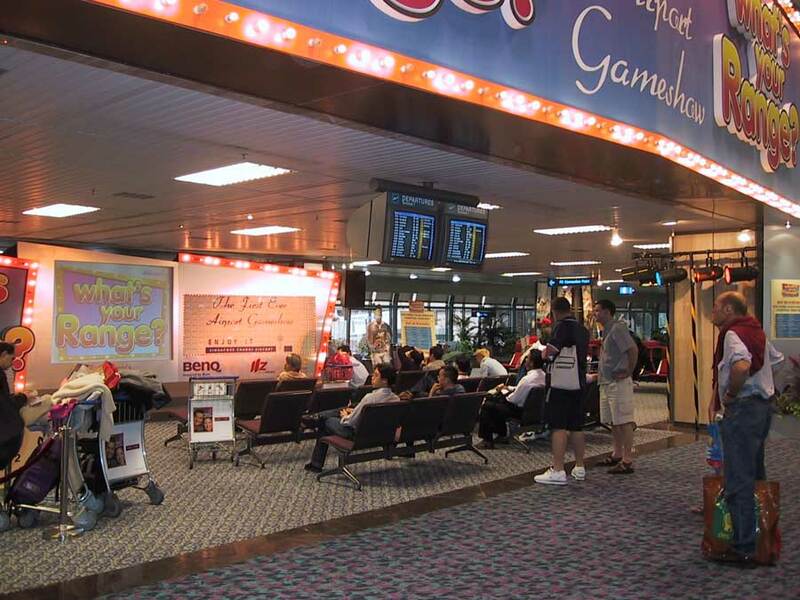 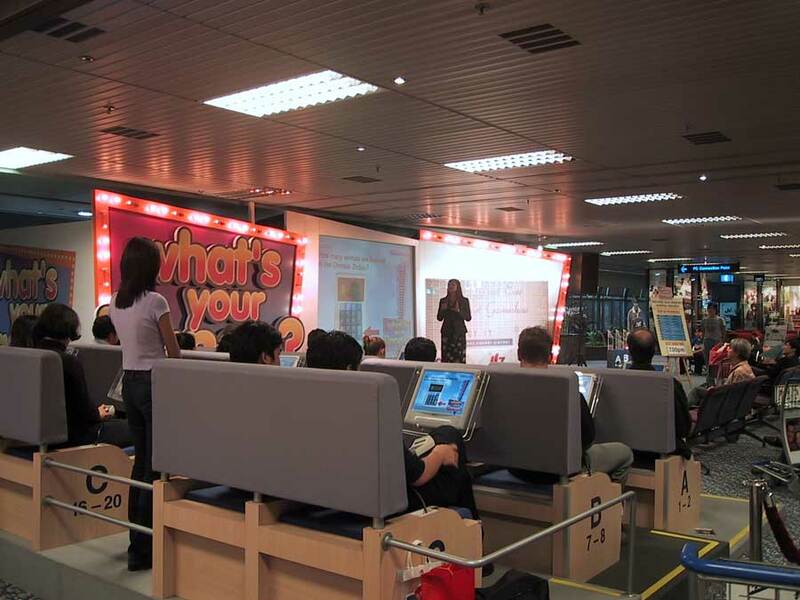 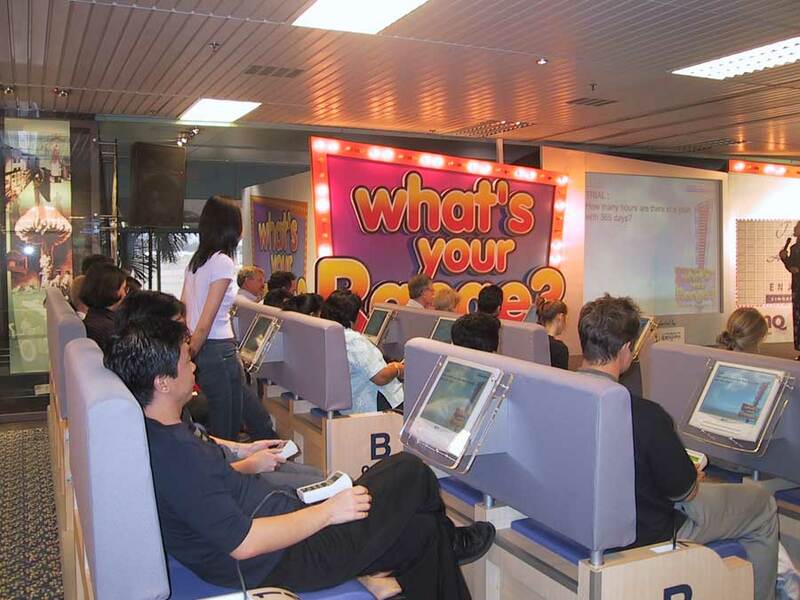 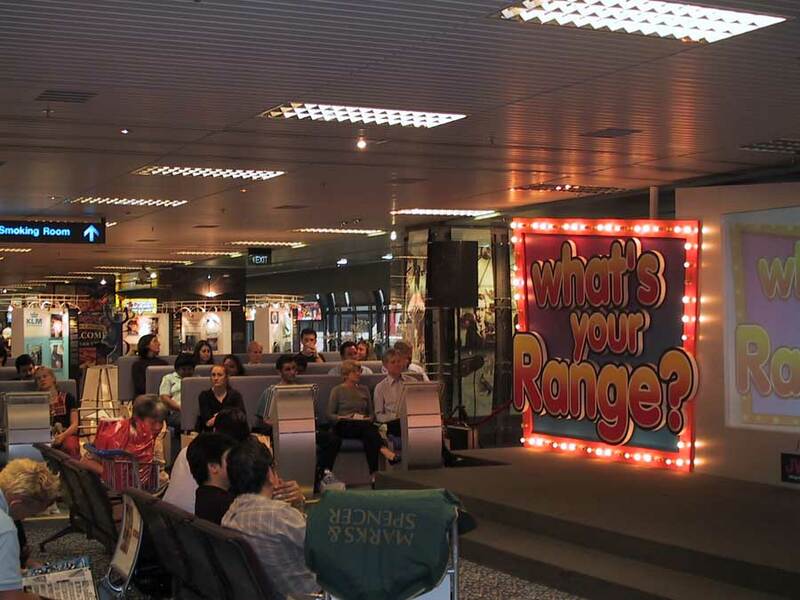 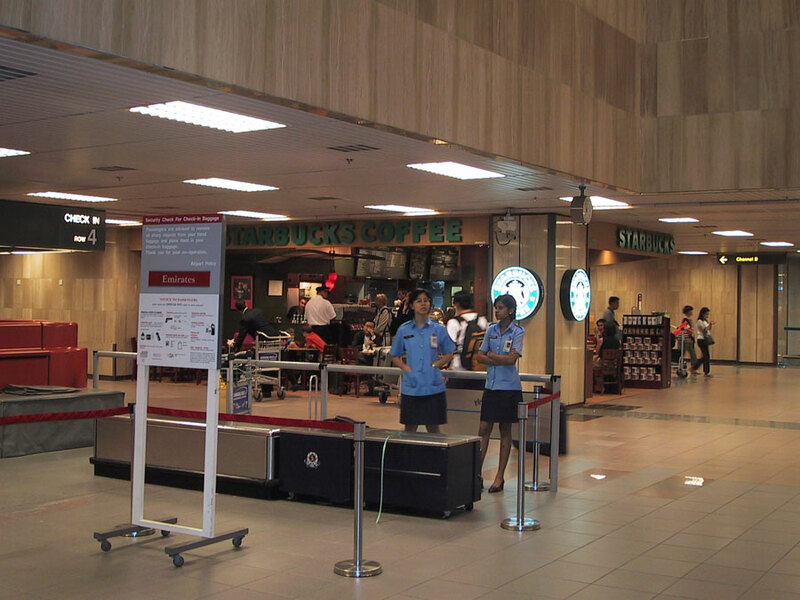 Changi is one airport you can actually enjoy. 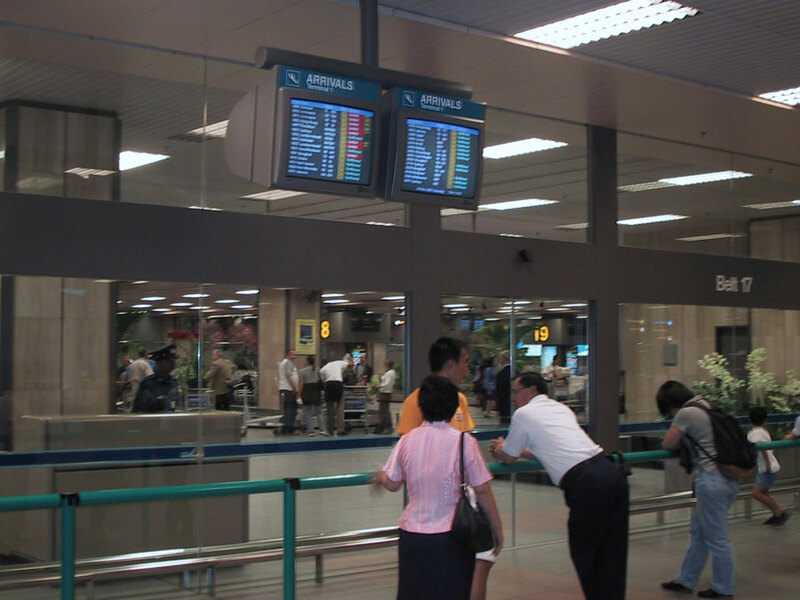 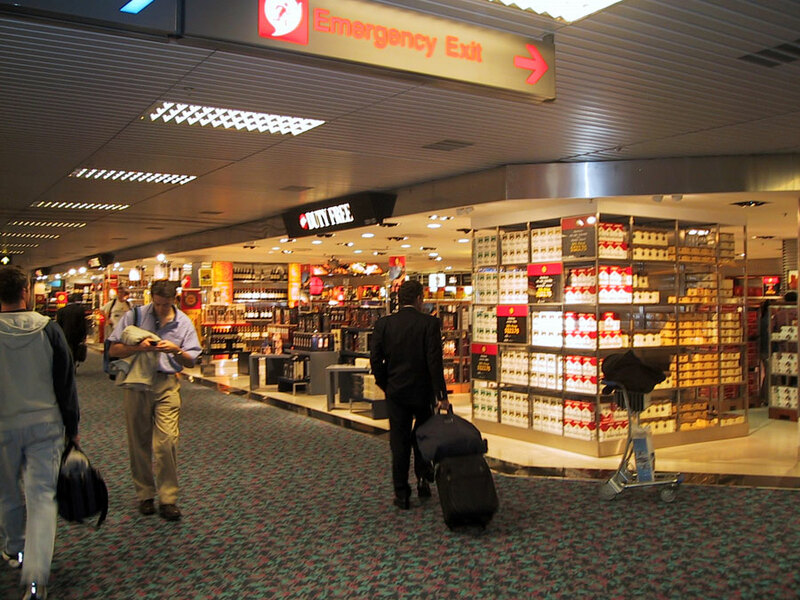 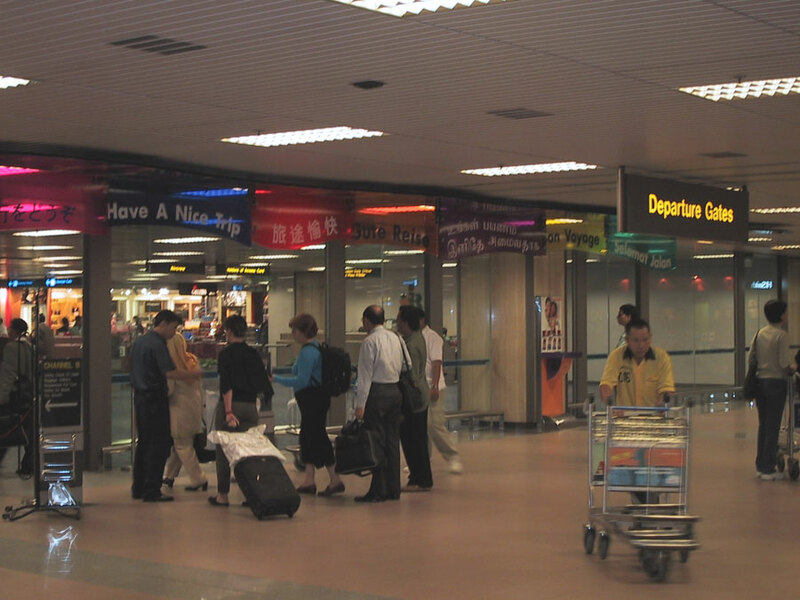 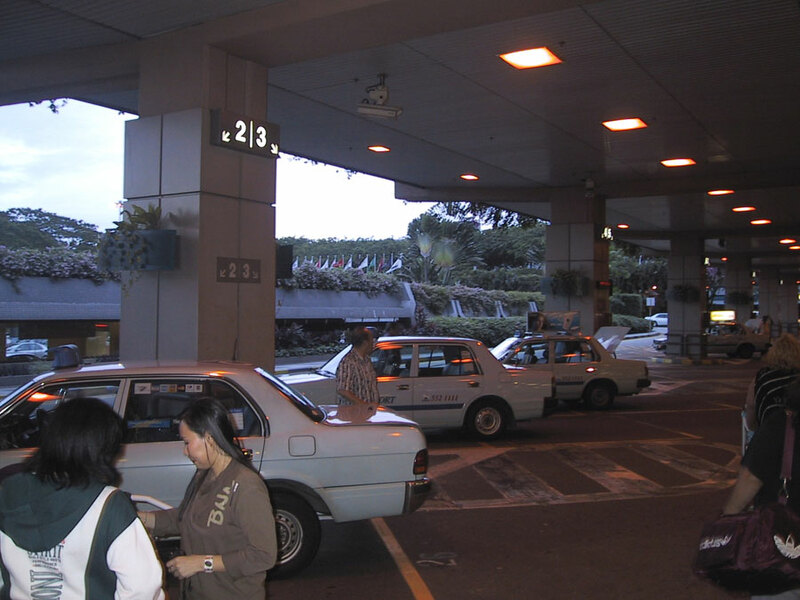 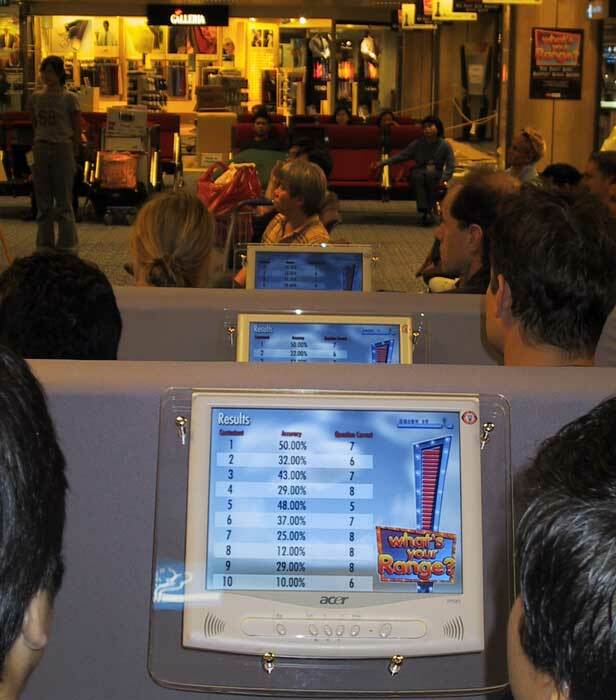 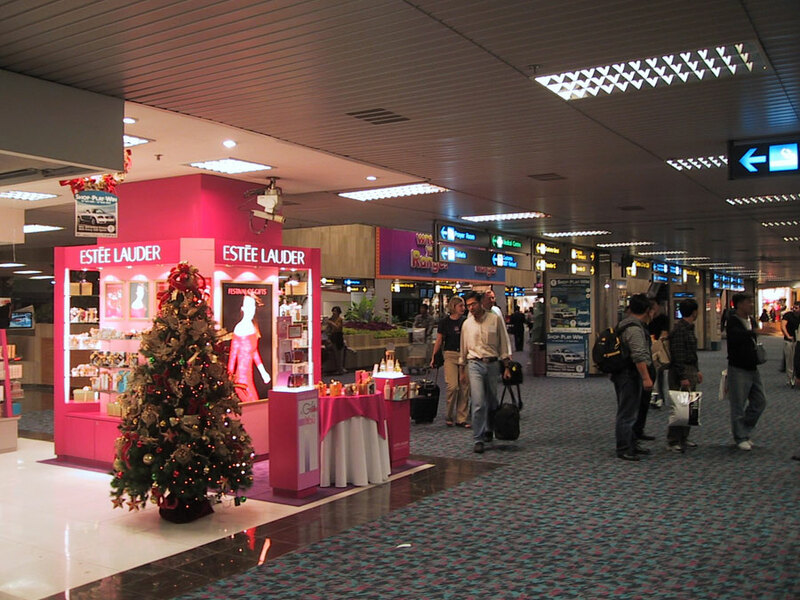 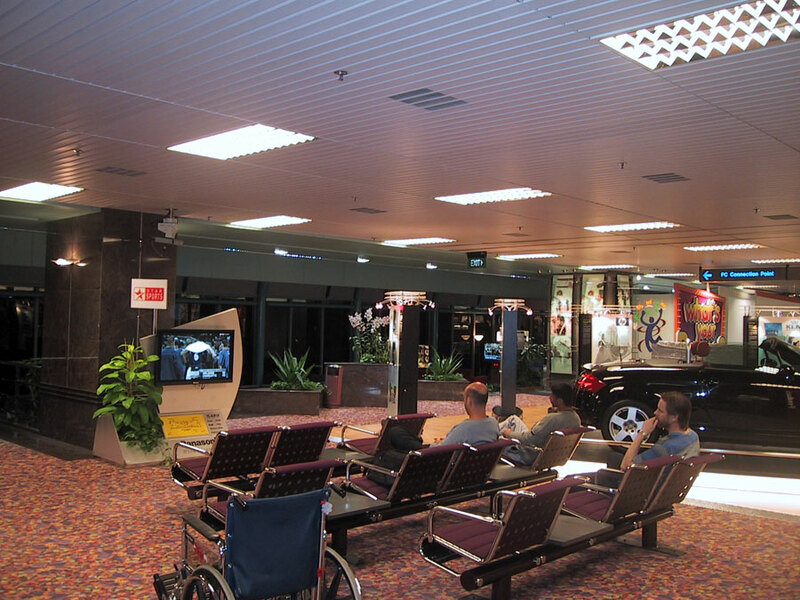 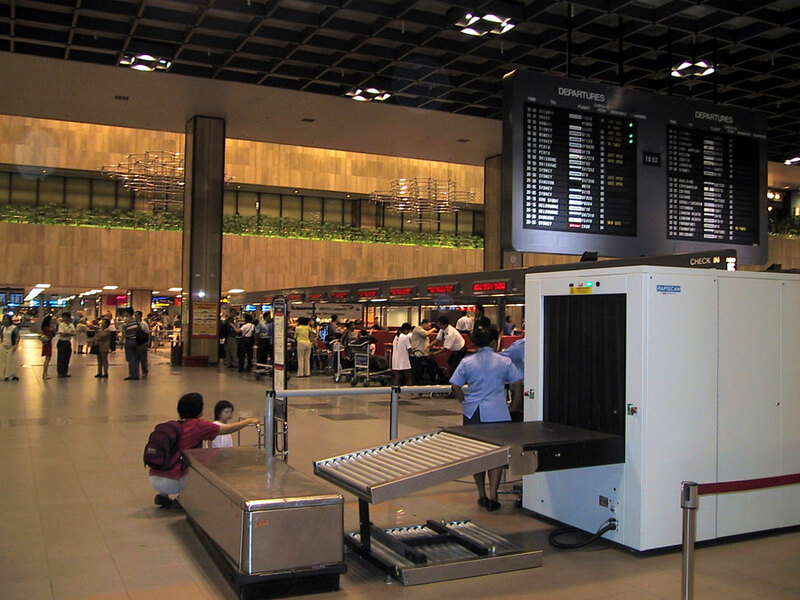 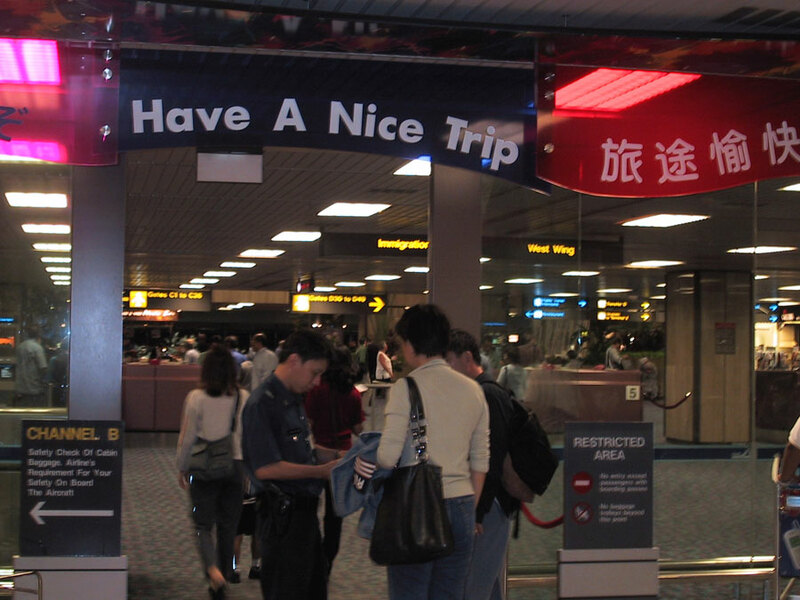 Read our full review of Changi Singapore International Airport. 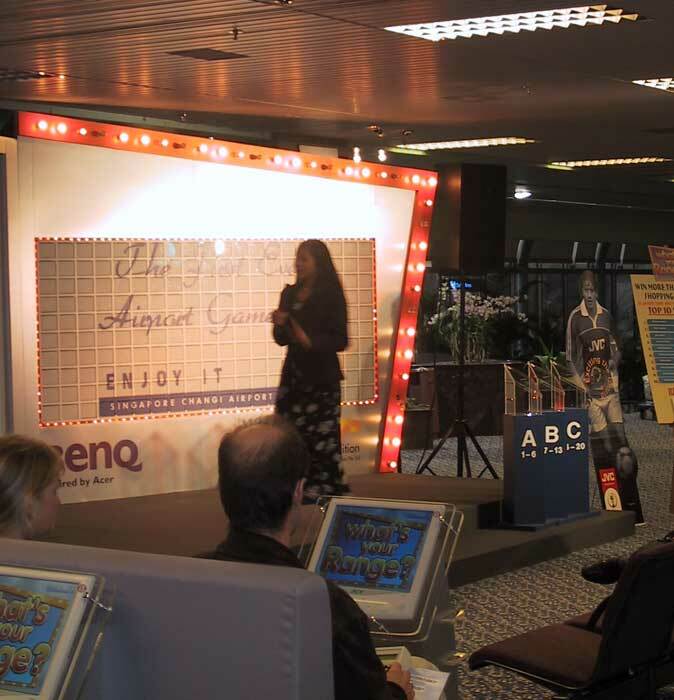 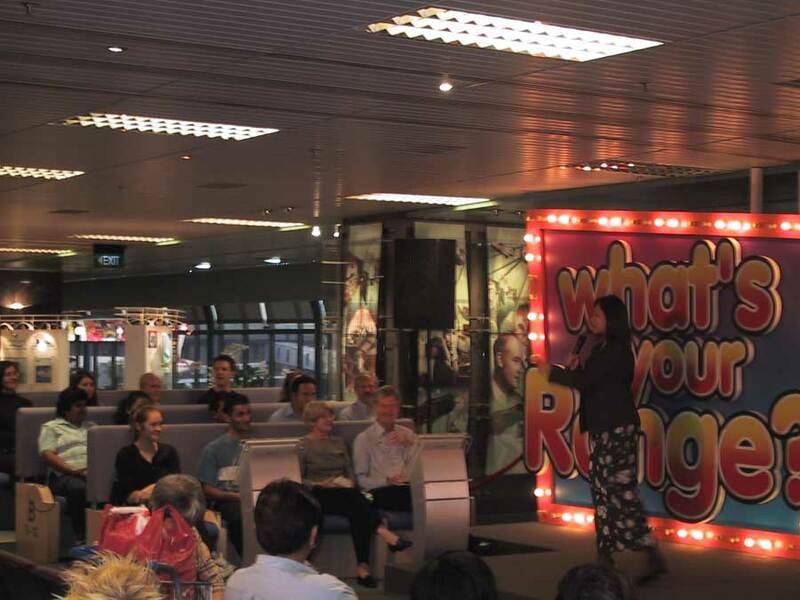 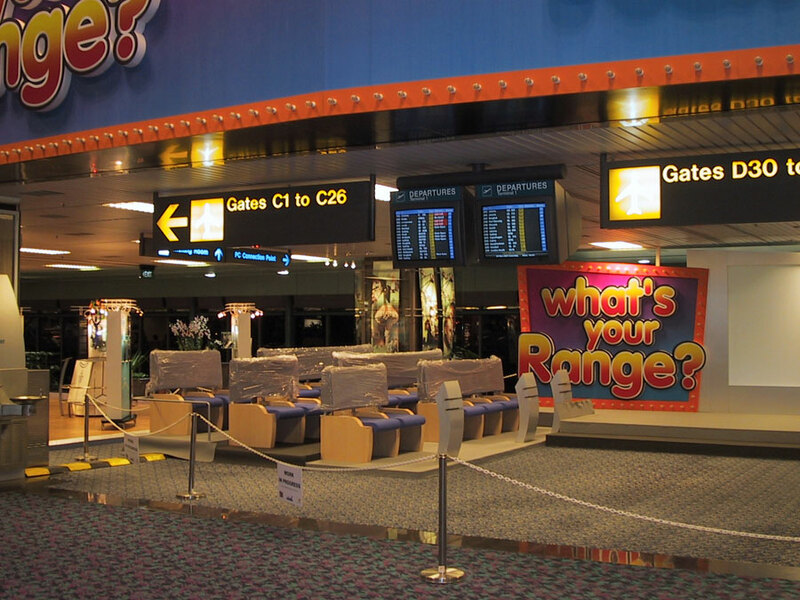 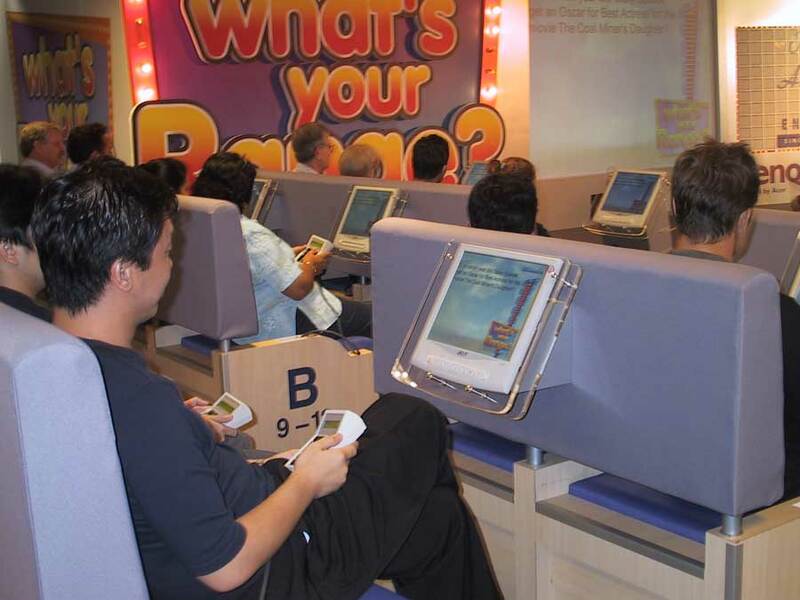 We should also point out the pictures of the game show are no longer valid as it has unfortunately been removed, we have left them in though as we feel it demonstrates just how creative and fun this amazing airport can be. Please click on any of the pictures below and a much larger and much higher resolution image will open in a new window for easy viewing. 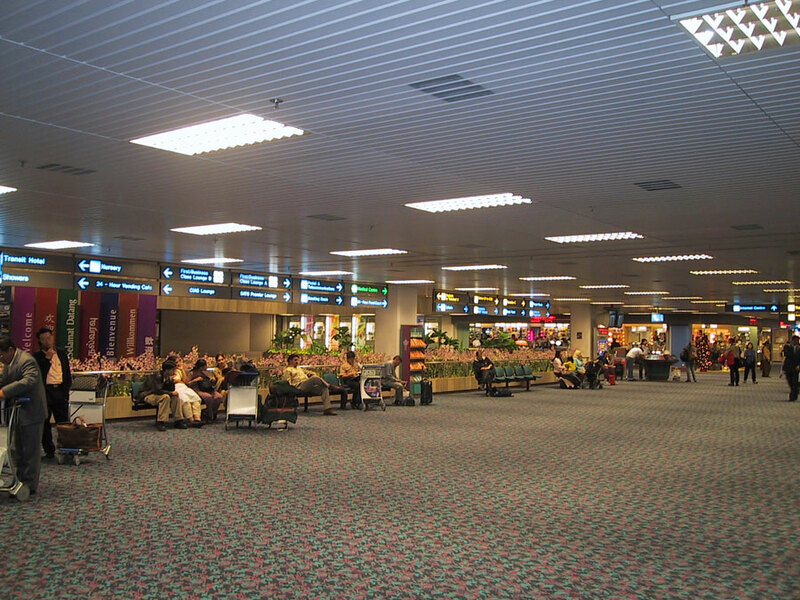 As the larger picture is quite large it may take a little time to load, so please do be patient. 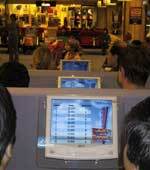 We would like to remind you that all images and pictures on this site are copyright (notice below). 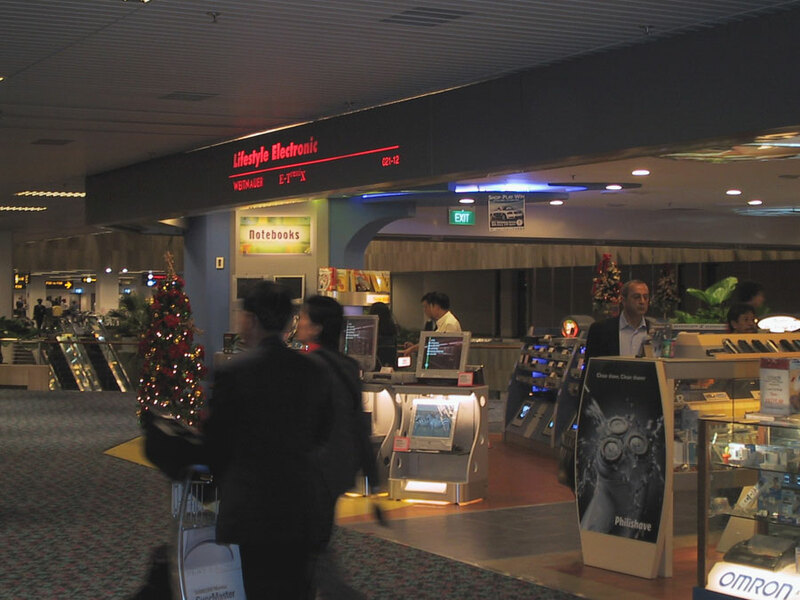 All the pictures below are available in high resolution format. 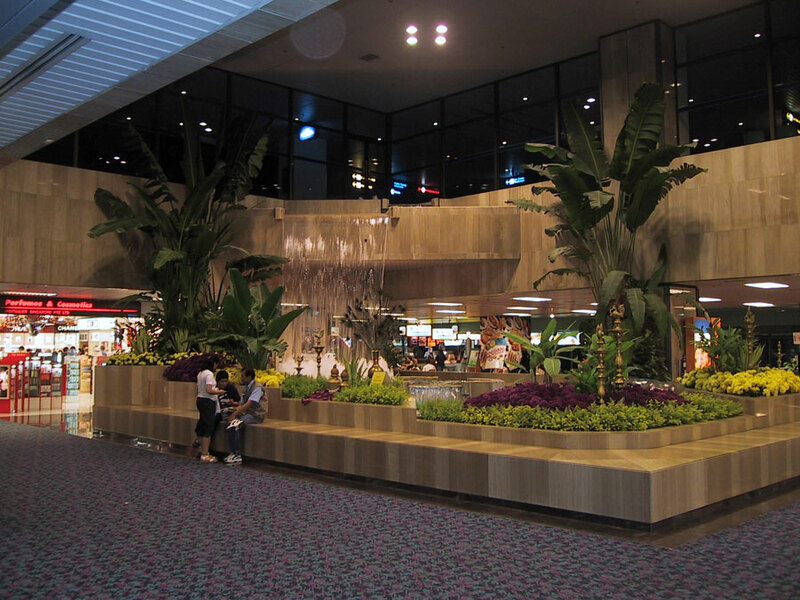 Please feel free to visit all our other galleries of pictures from around the world which include pictures of Singapore and other Asian destinations. 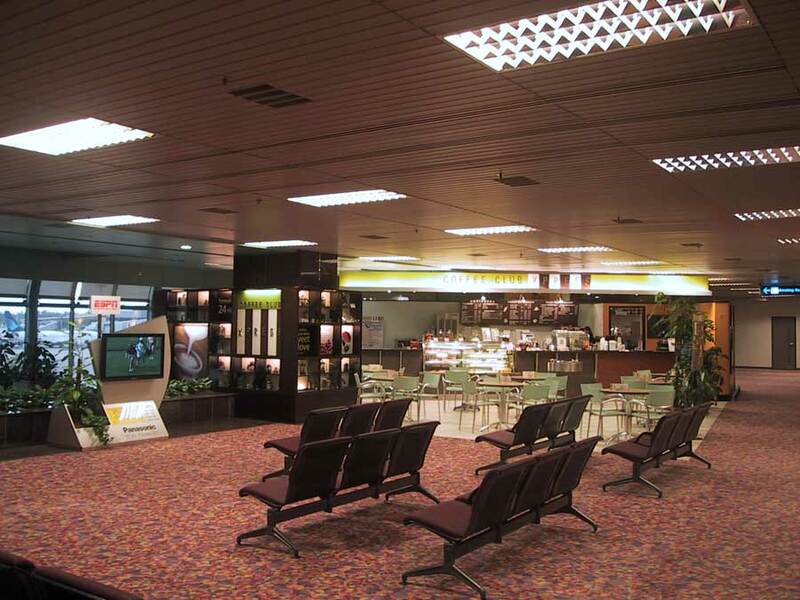 Simply click on any of the pictures below to see the larger version which will open in a new window.